Riva del Garda is one of the most important holiday destinations in northern Italy. Two of the top Lake Garda resorts for the English-speaking market are Riva del Garda on the northern end of the lake and the resort of Garda in the south. 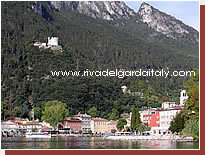 We hope you find the Riva del Garda Italy website useful and look forward to hearing your comments about the site and the village. We especially welcome any views about the resort from those who have stayed there. 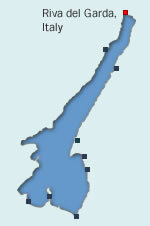 "It was our first visit in September of last year and we thoroughly enjoyed the town of Riva. The trips around the lake were very enjoyable . In fact we enjoyed it so much we're coming back in July this year!"